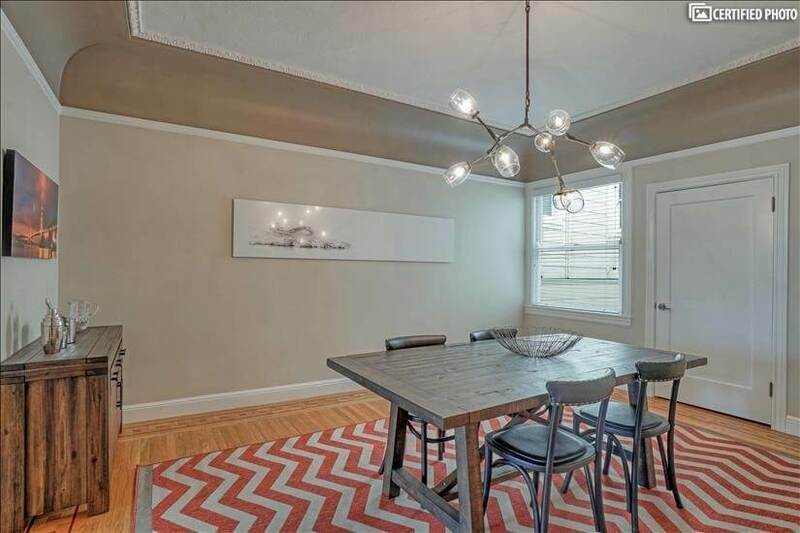 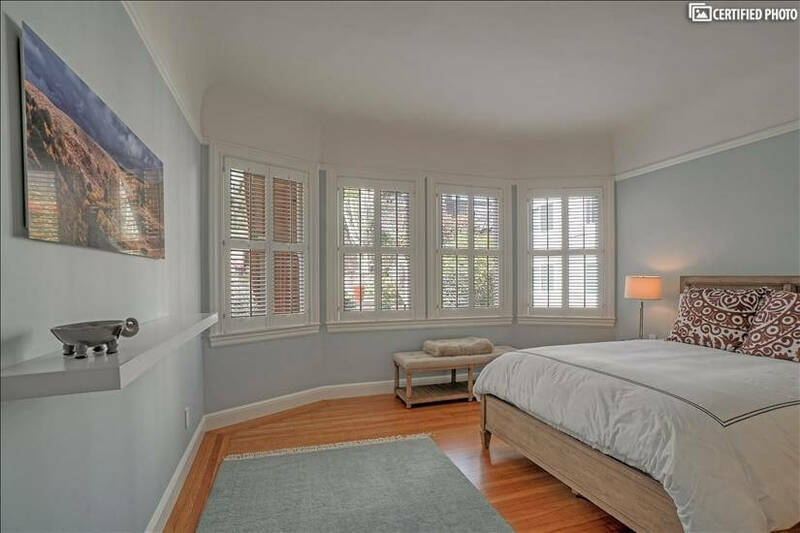 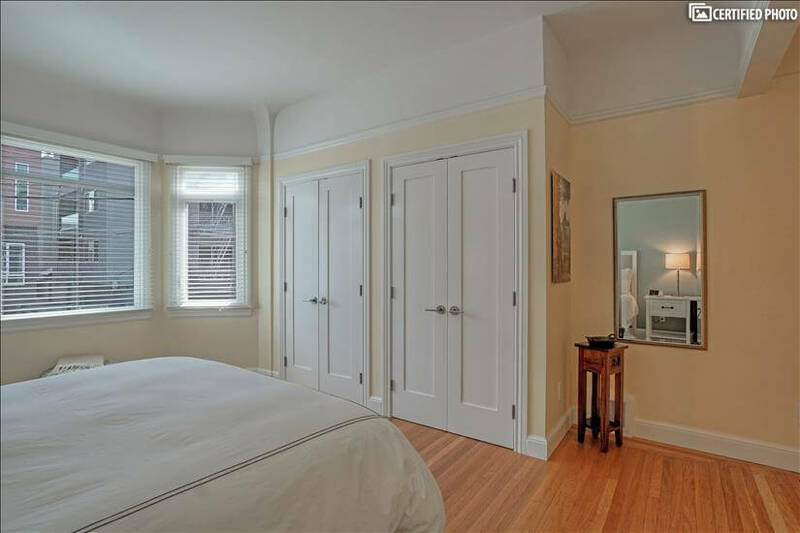 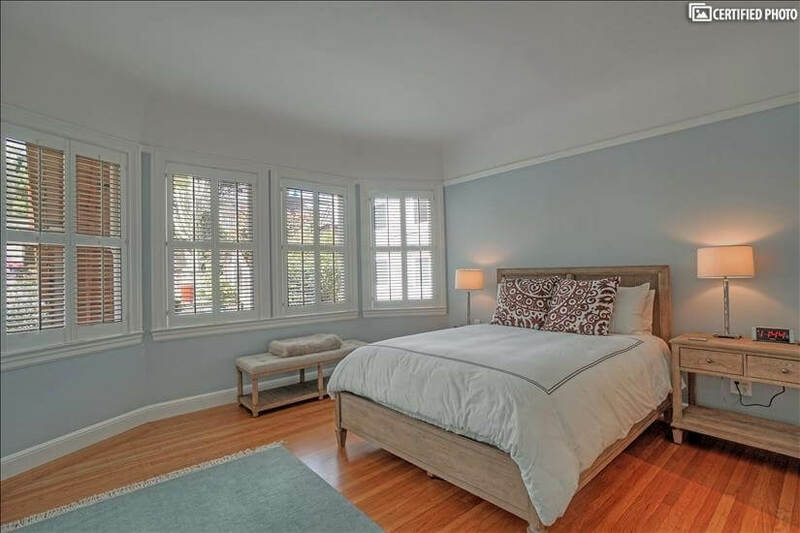 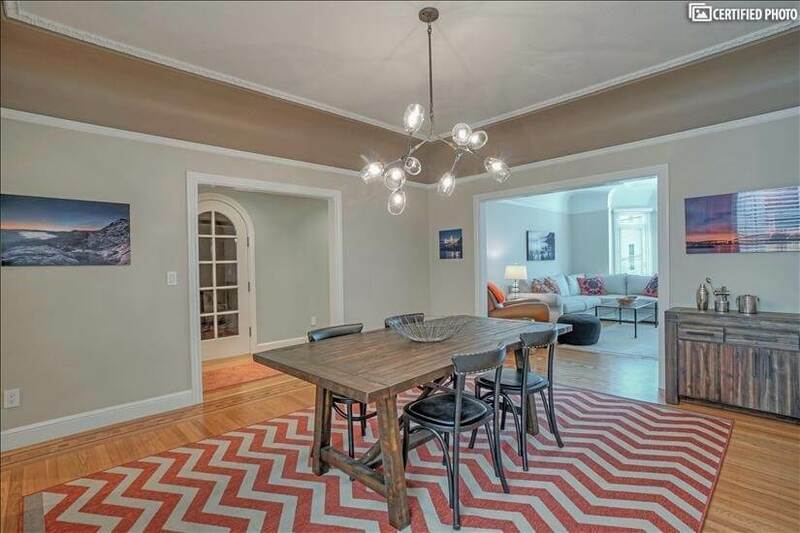 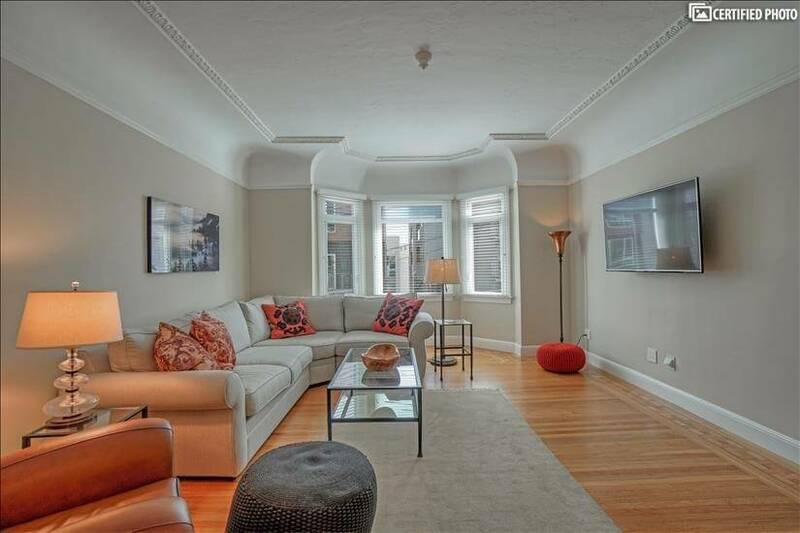 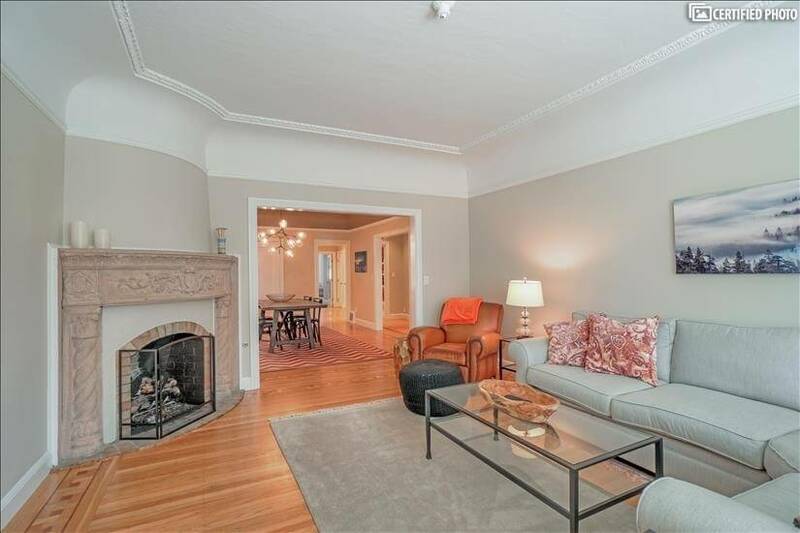 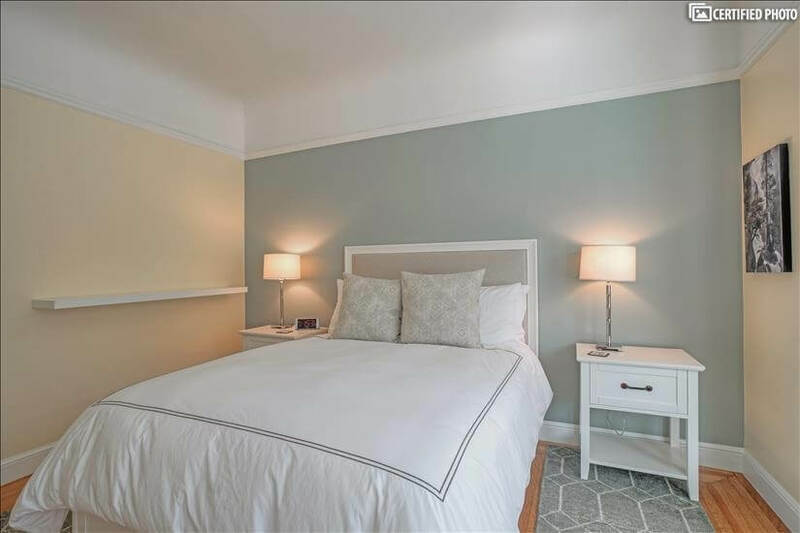 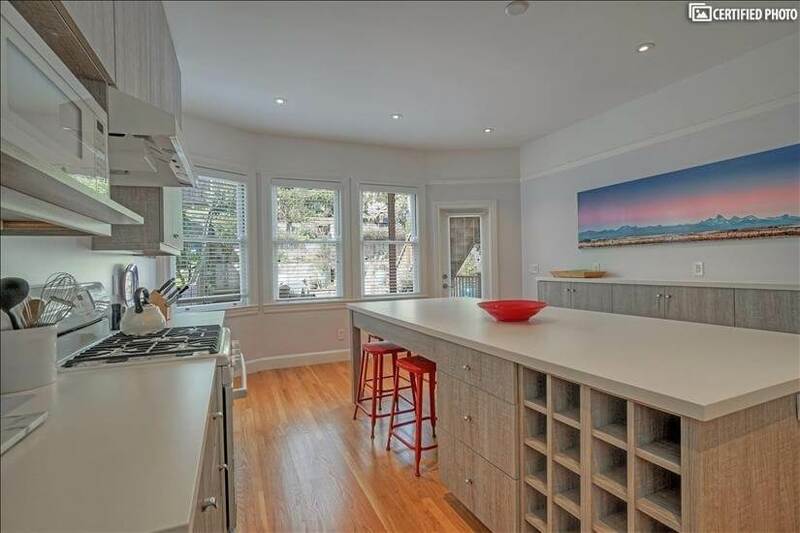 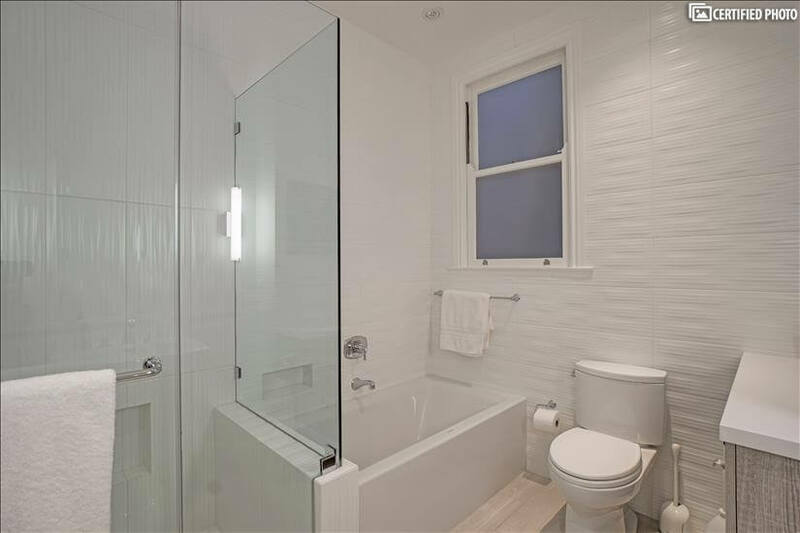 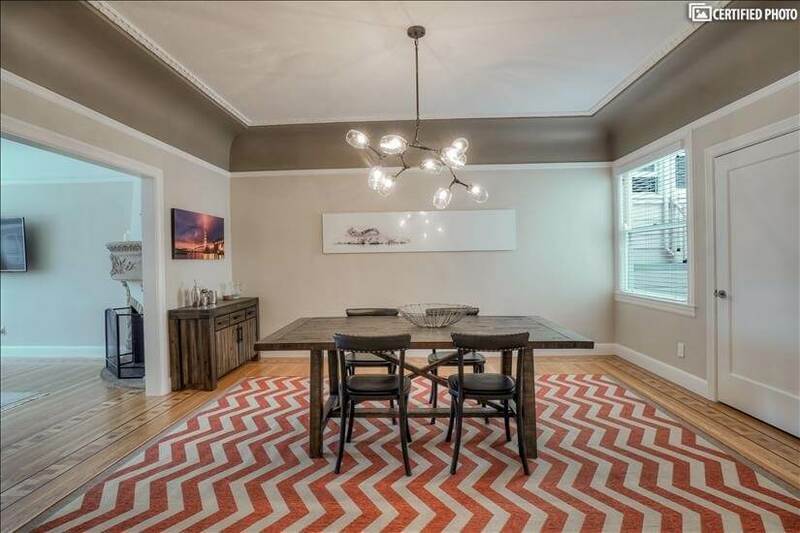 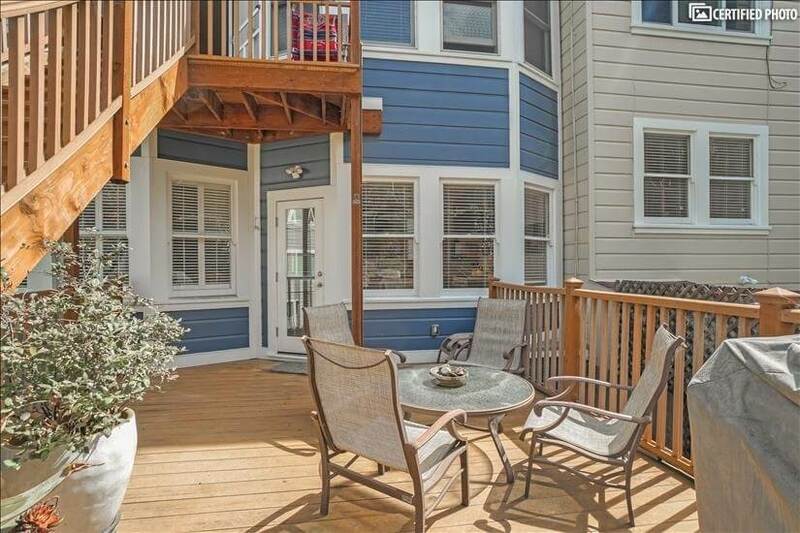 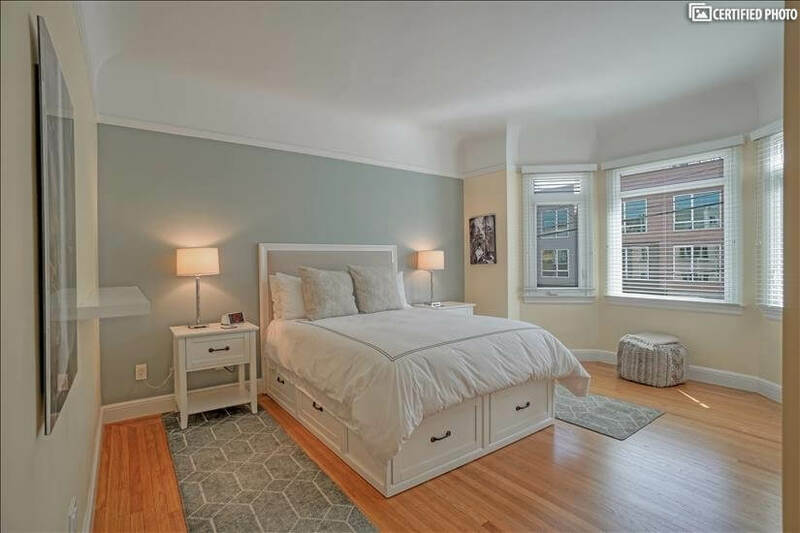 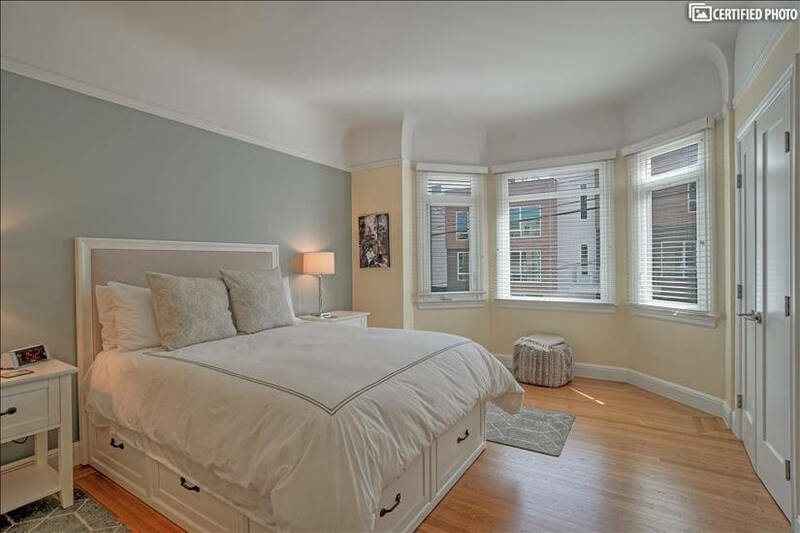 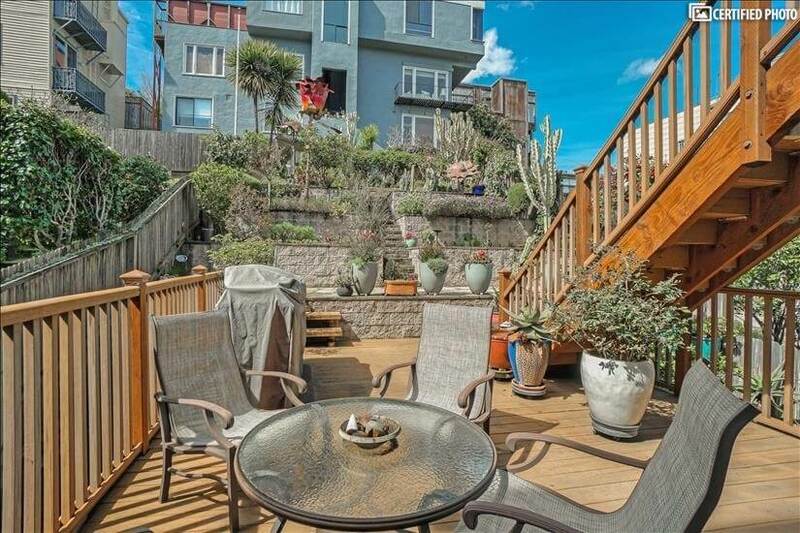 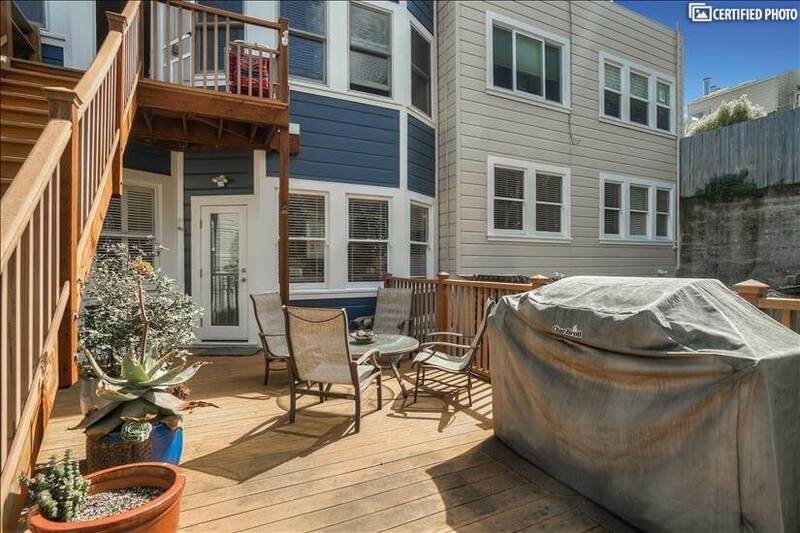 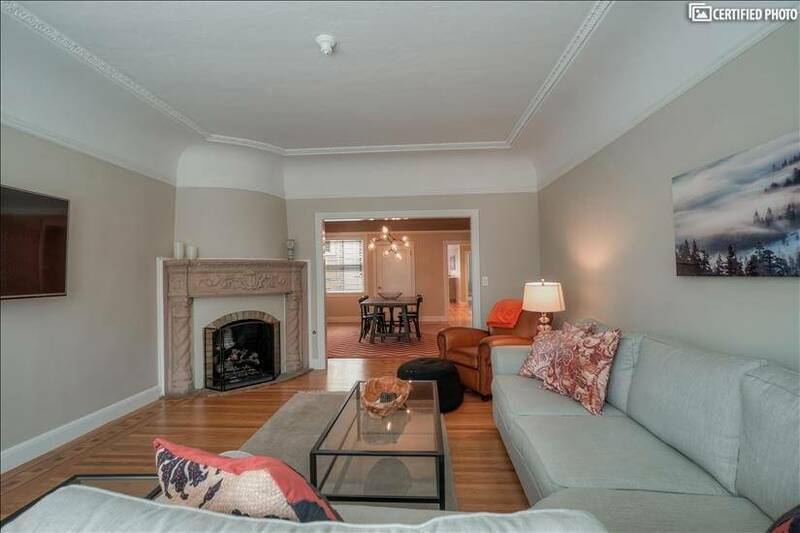 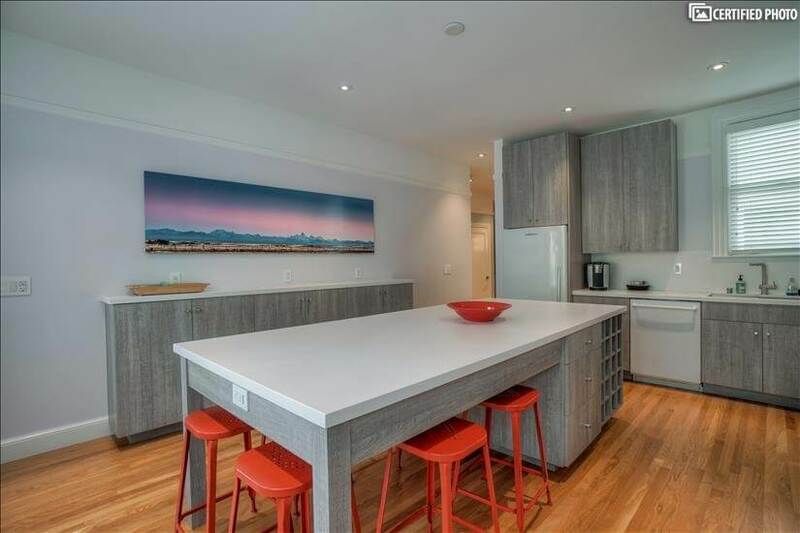 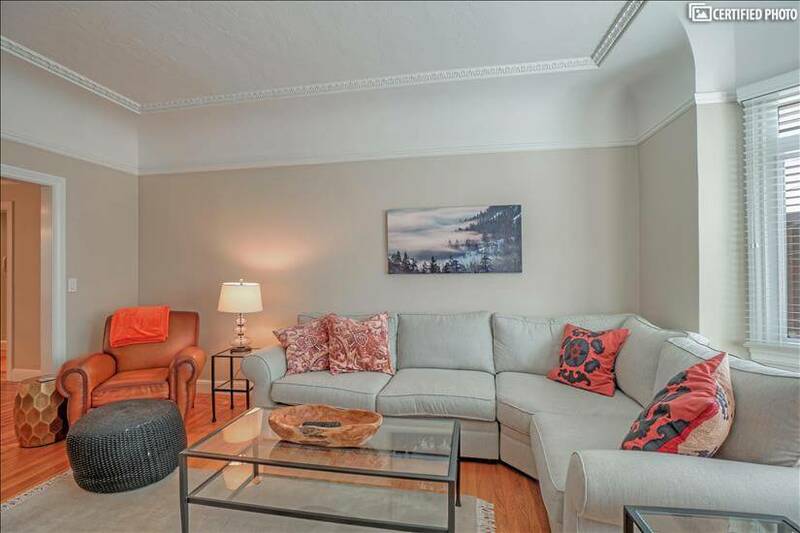 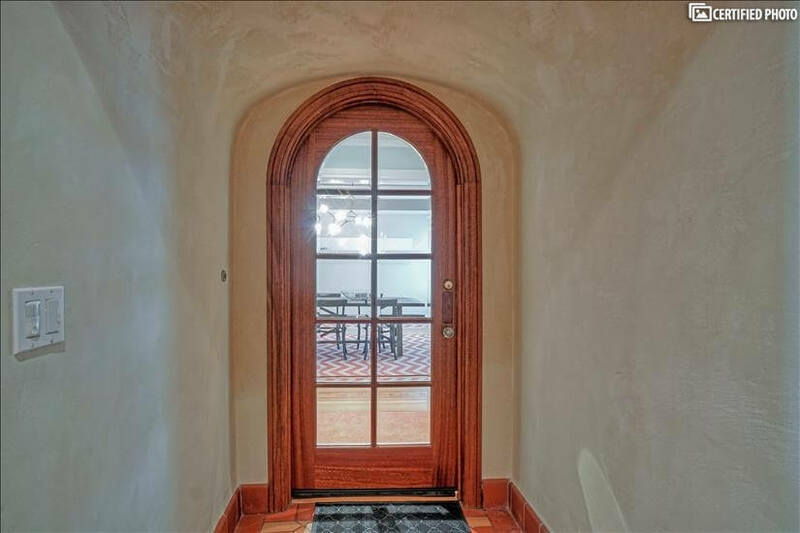 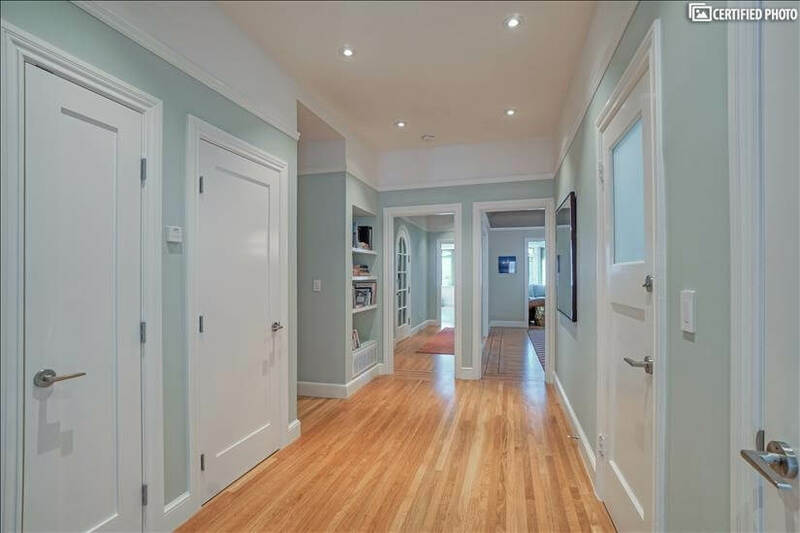 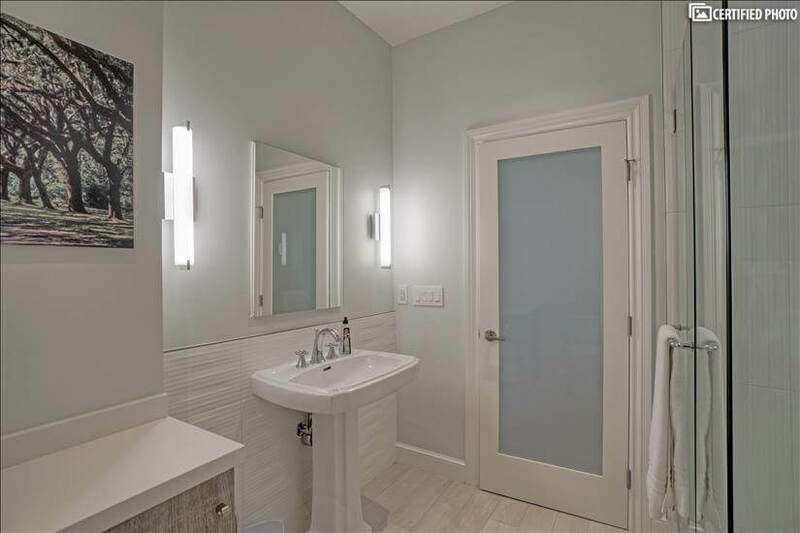 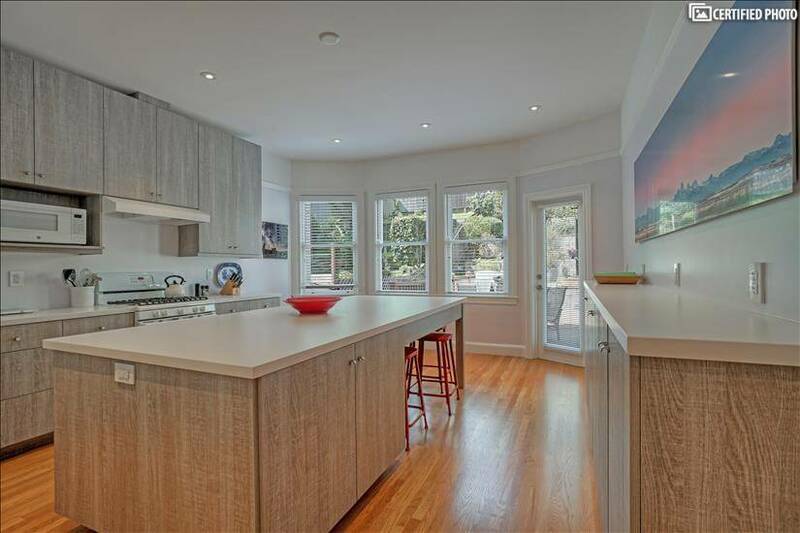 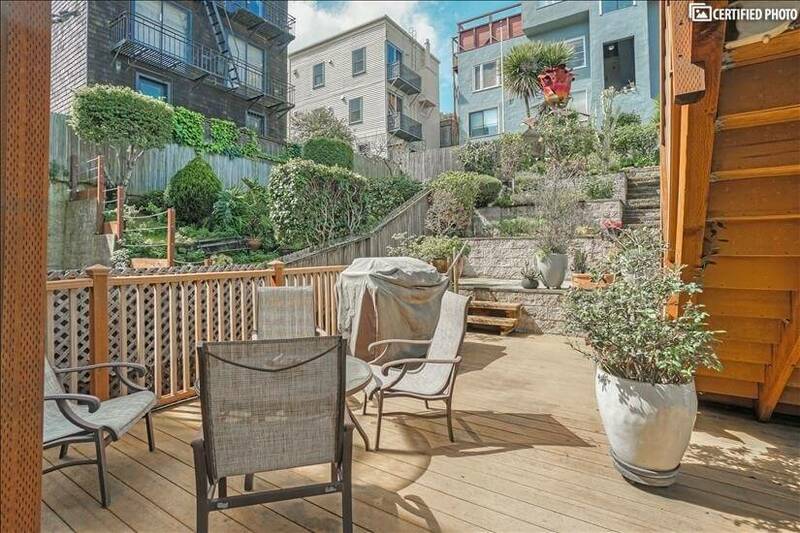 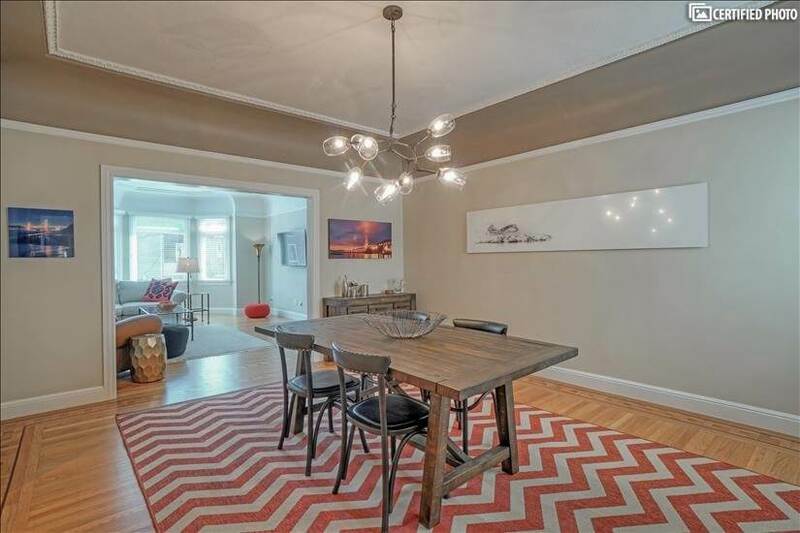 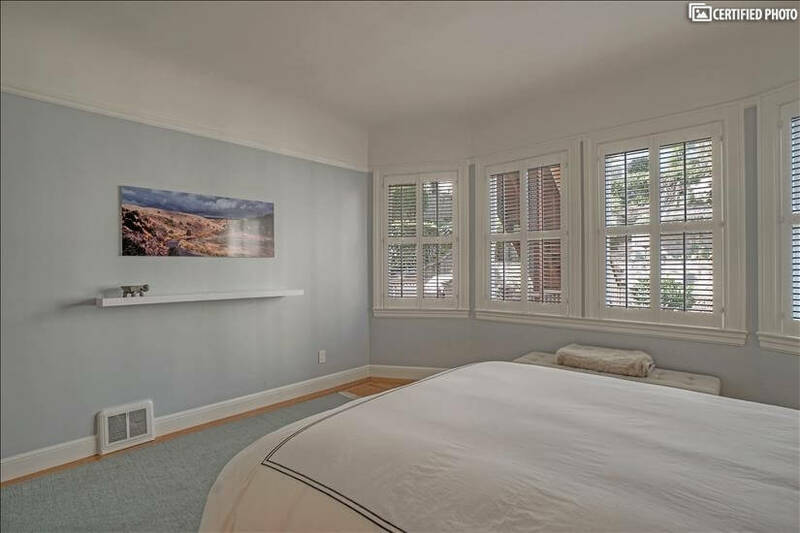 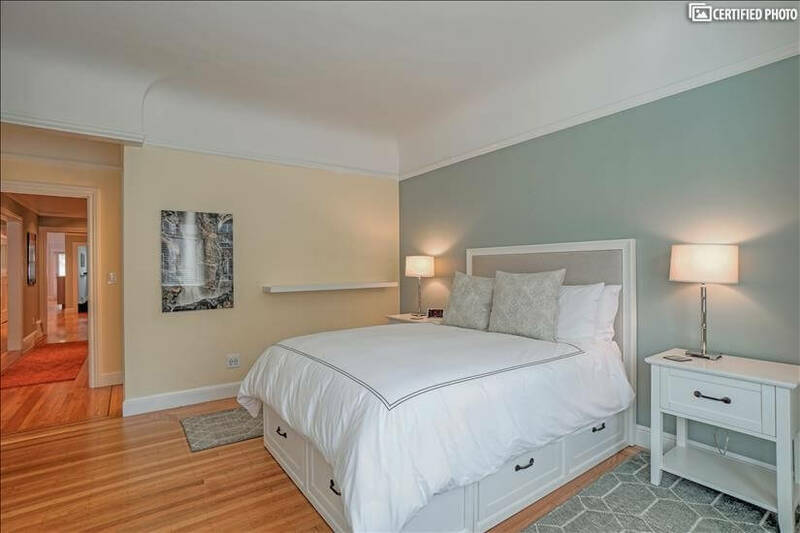 Ideally located on fabulous Russian Hill, this gloriously renovated furnished flat features two bedrooms, two and a half baths, and a large walk out deck. 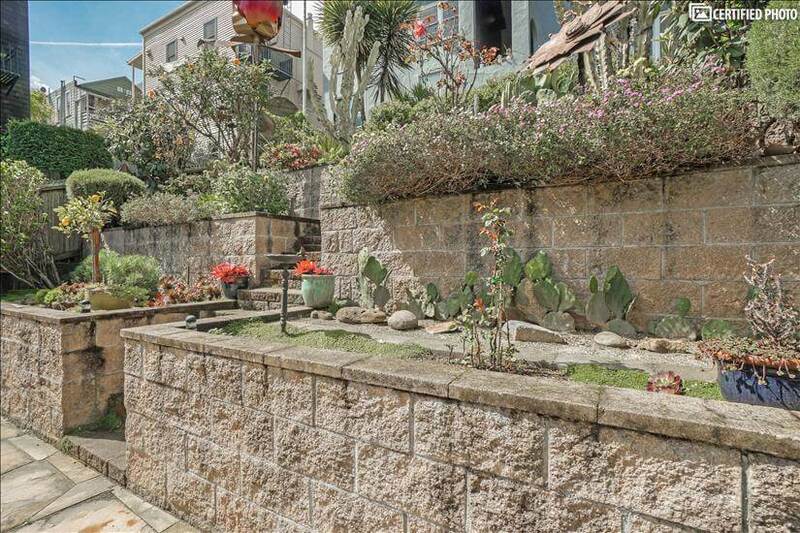 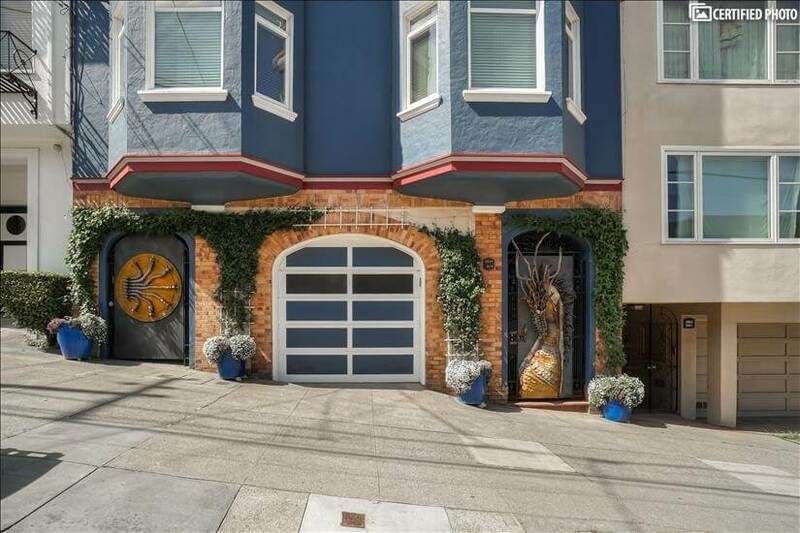 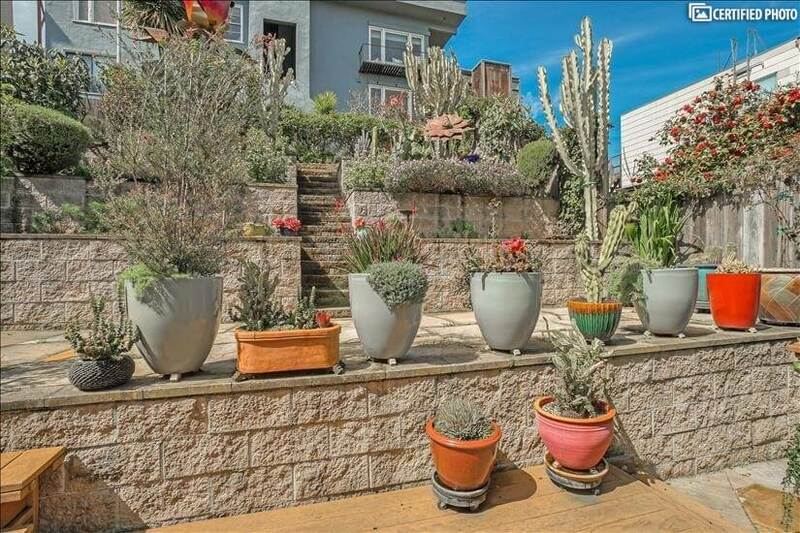 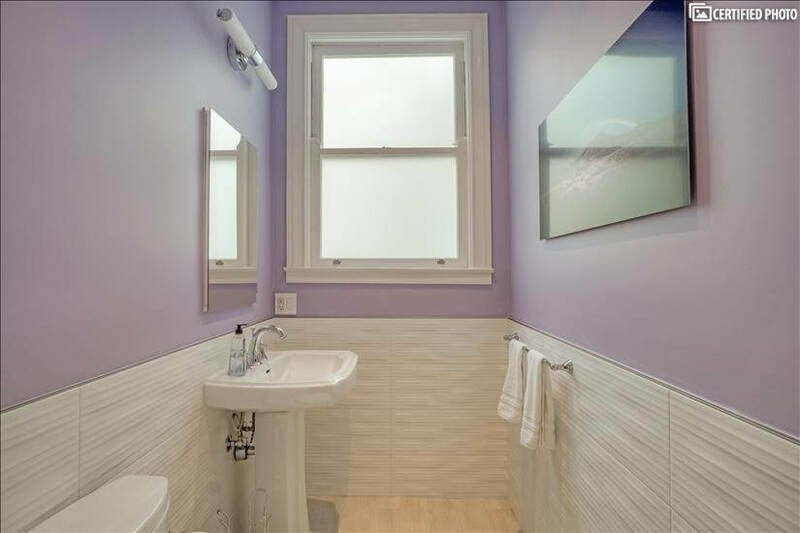 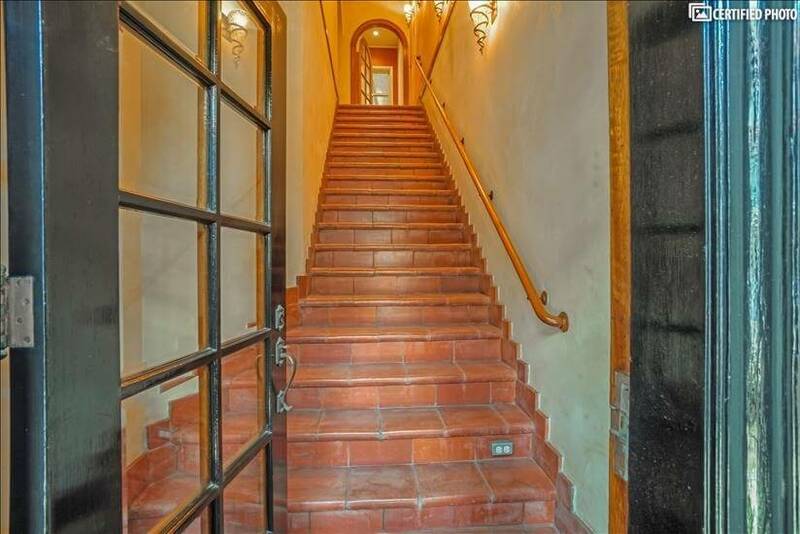 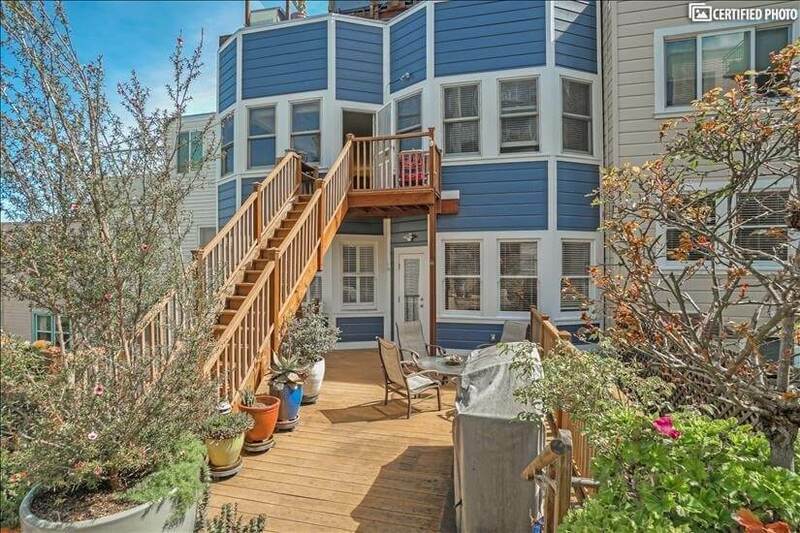 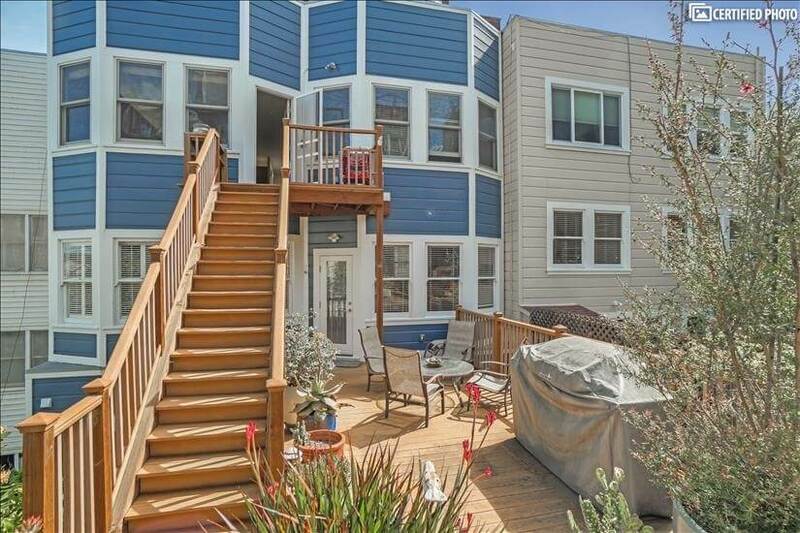 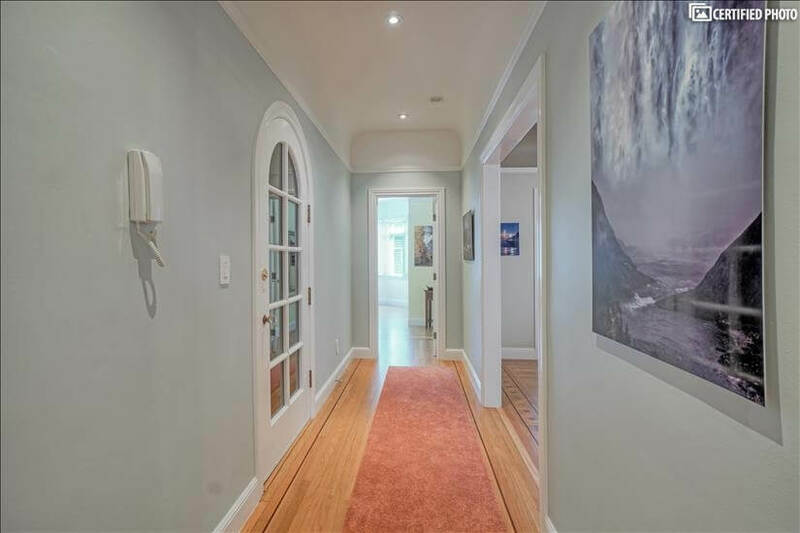 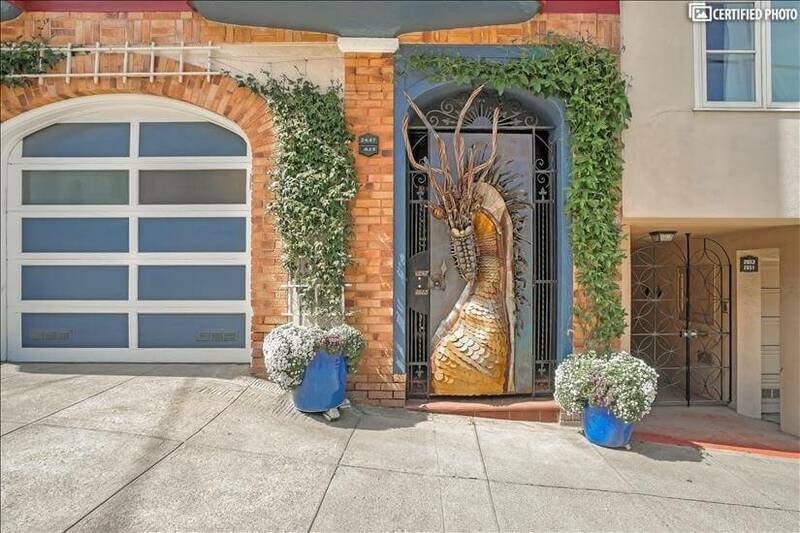 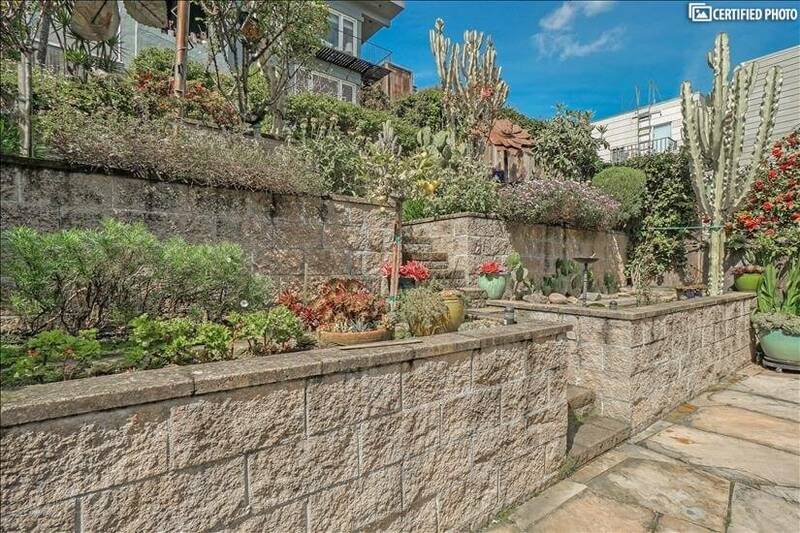 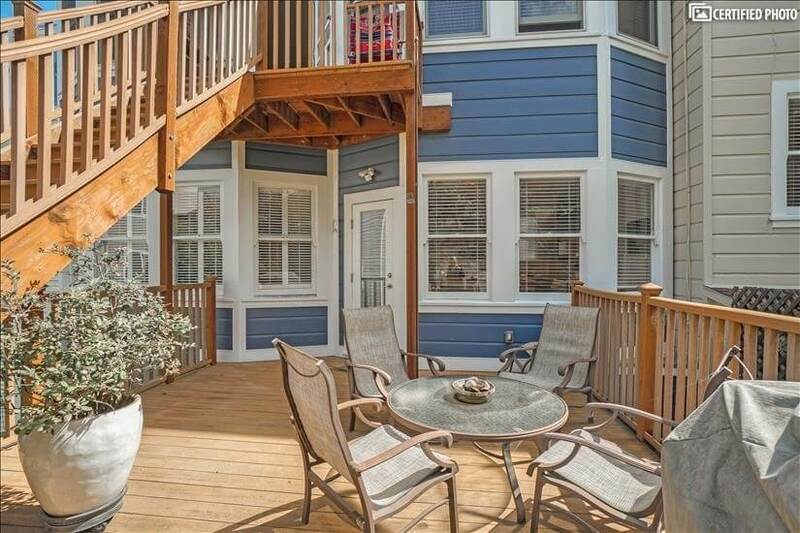 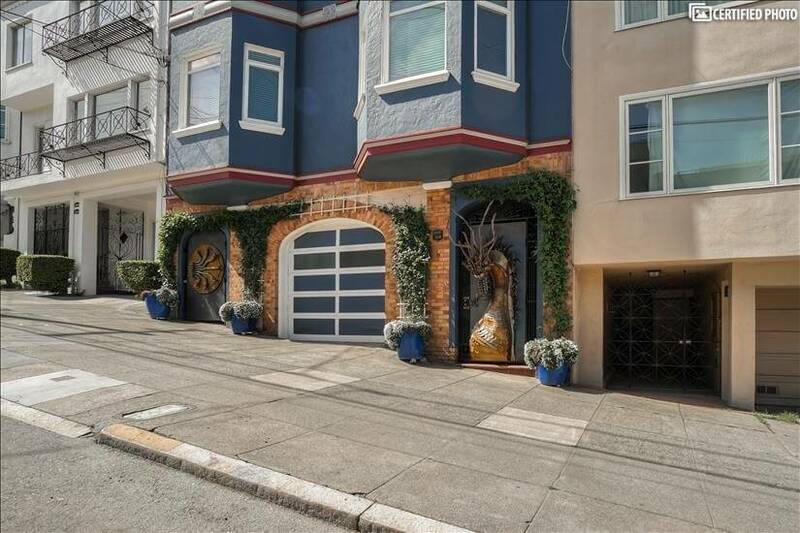 Within walking distance to North Beach, Ghirardelli Square, and the Financial District, this home is close to parks, shops, restaurants and easy transportation. 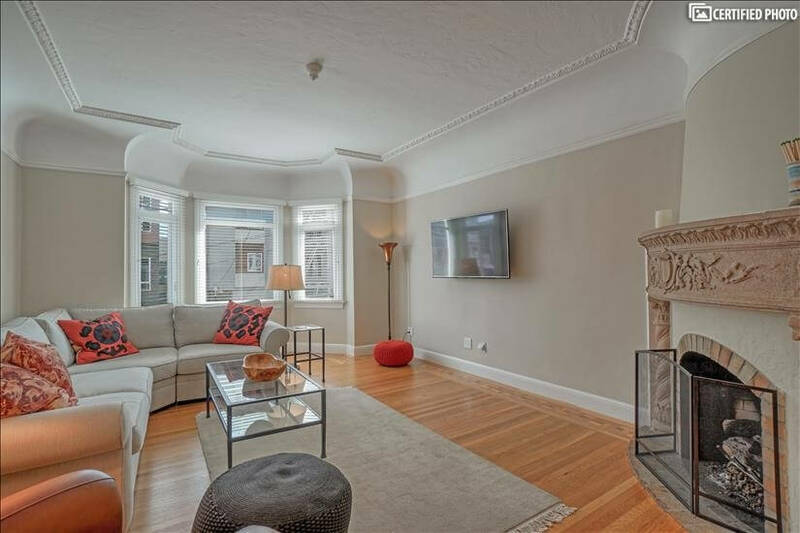 The generous floor plan boasts a grand living room with new bay windows and wonderful city views plus a beautifully detailed fireplace. 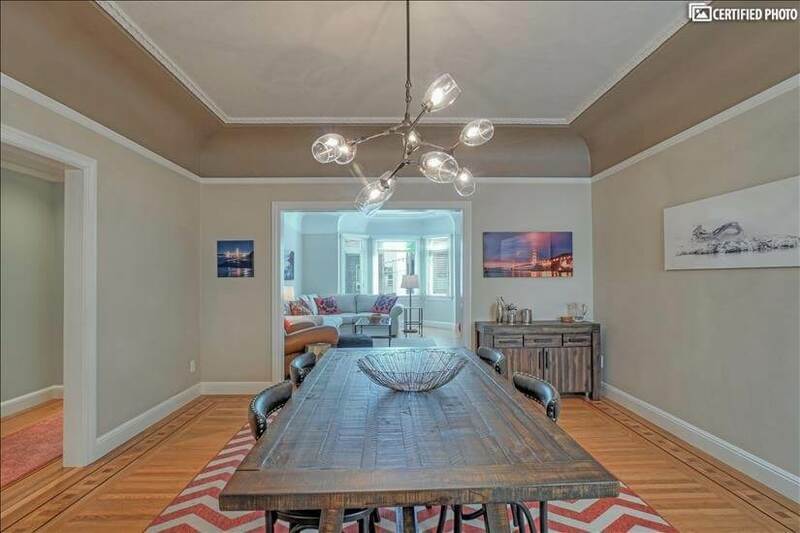 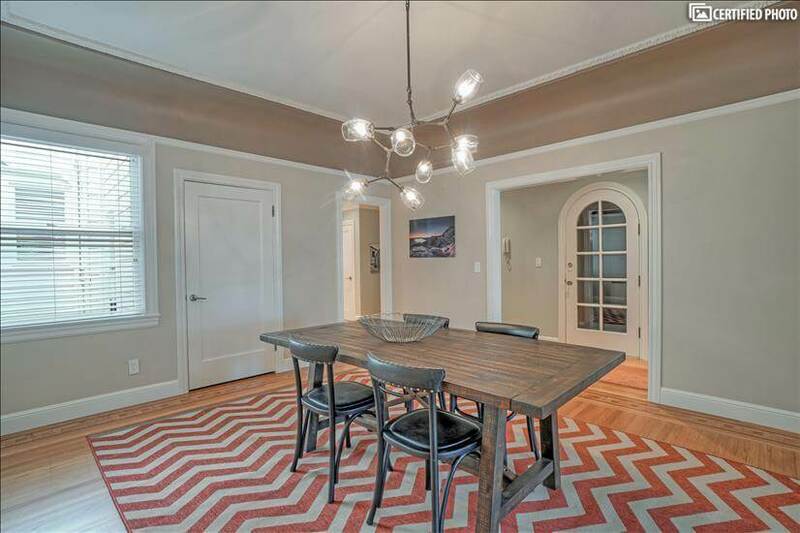 A classic formal dining room showcases the homes pretty architectural details including hardwood floors, coved ceilings, and crown moldings. 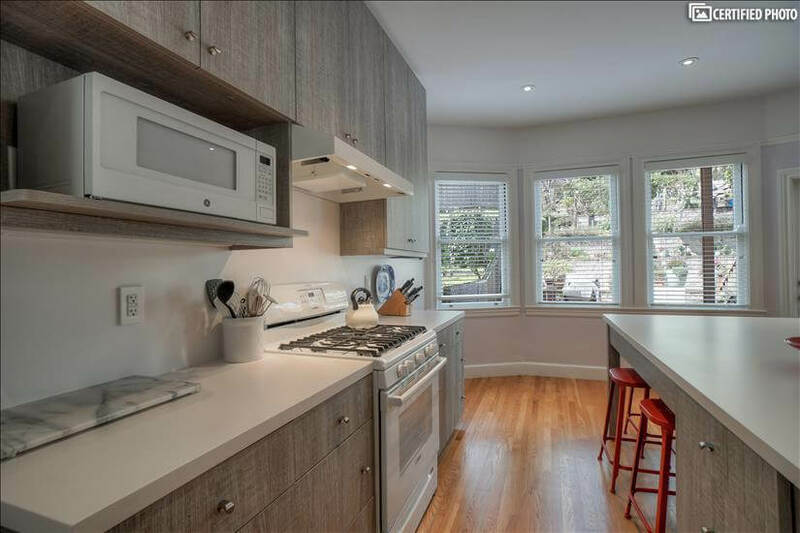 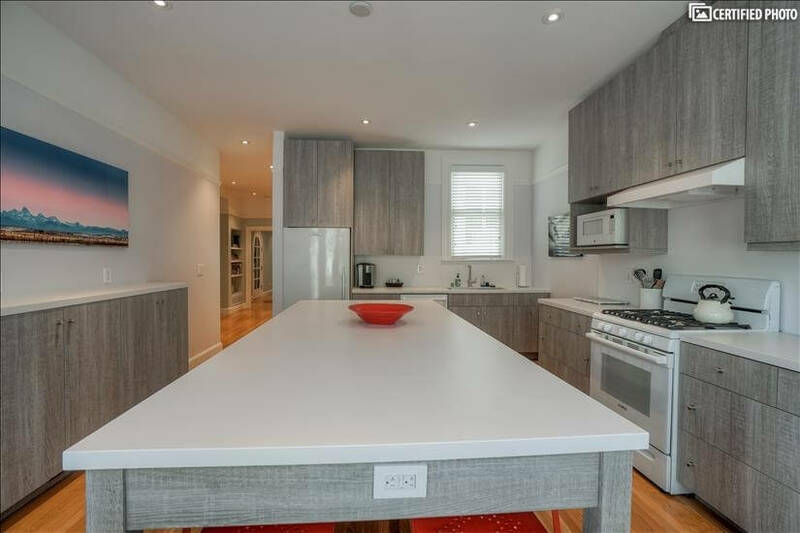 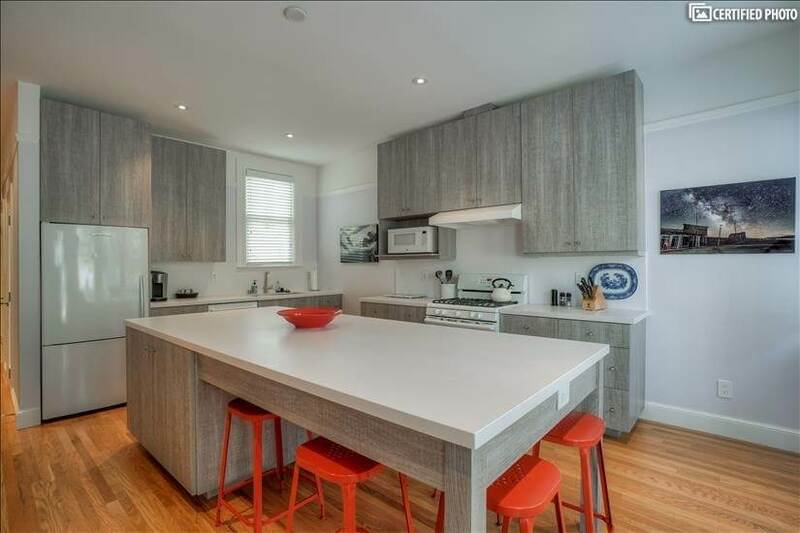 A brand new eat-it kitchen has great counterspace with a breakfast bar, fantastic storage including wine storage, and new appliances including a gas stove, dishwasher, and microwave. 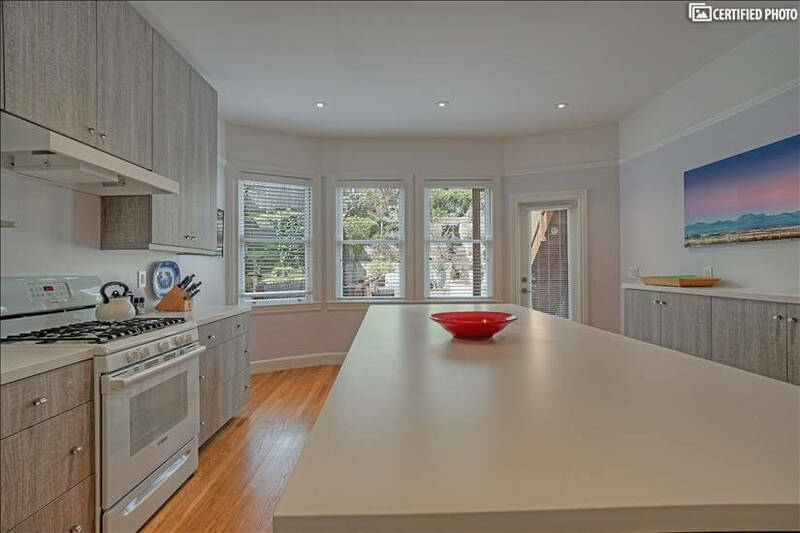 A perfect space for both entertaining and everyday life, the kitchen is bright with windows and access to the walk-out deck with beautiful views. 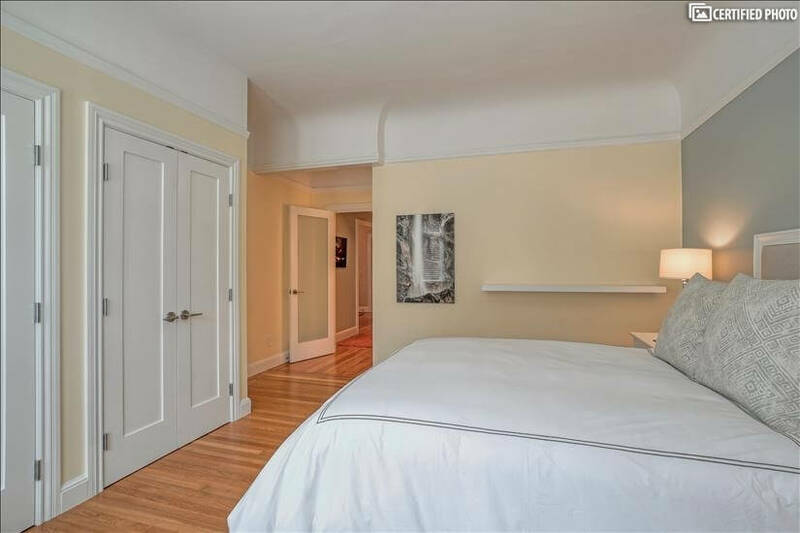 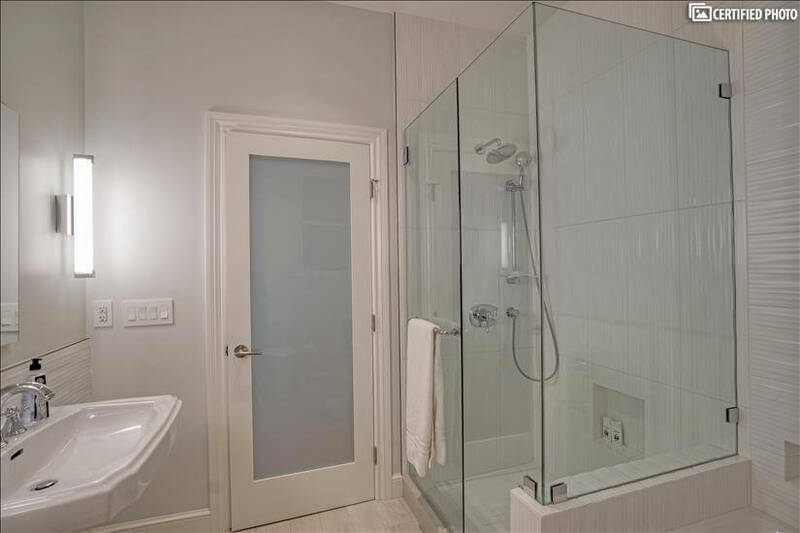 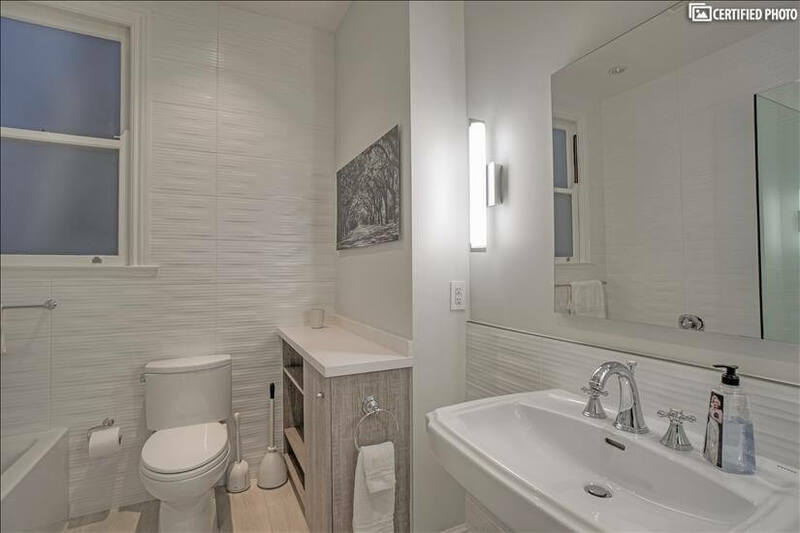 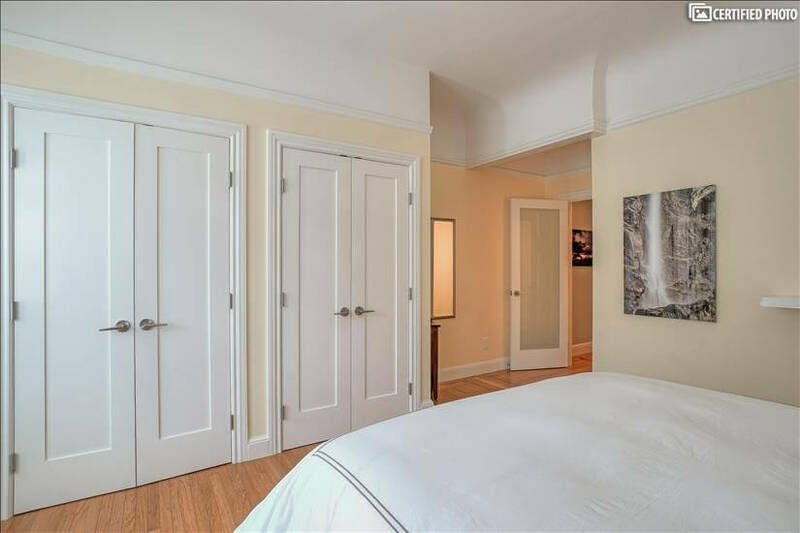 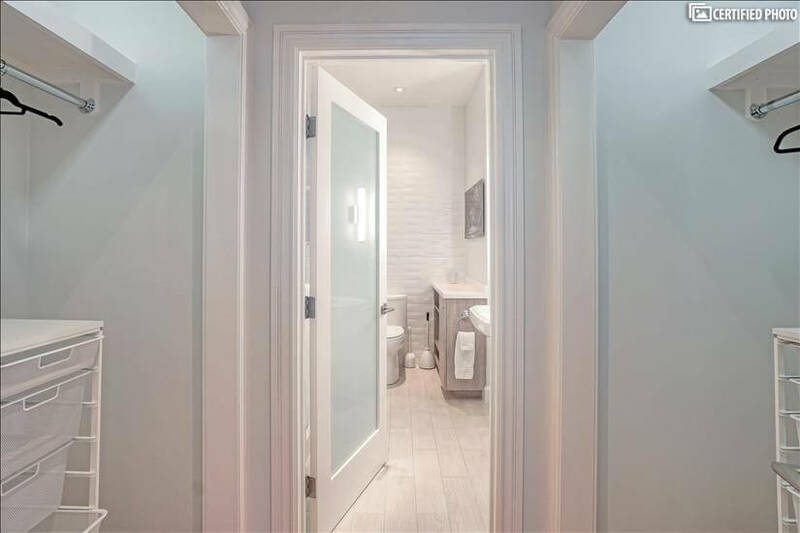 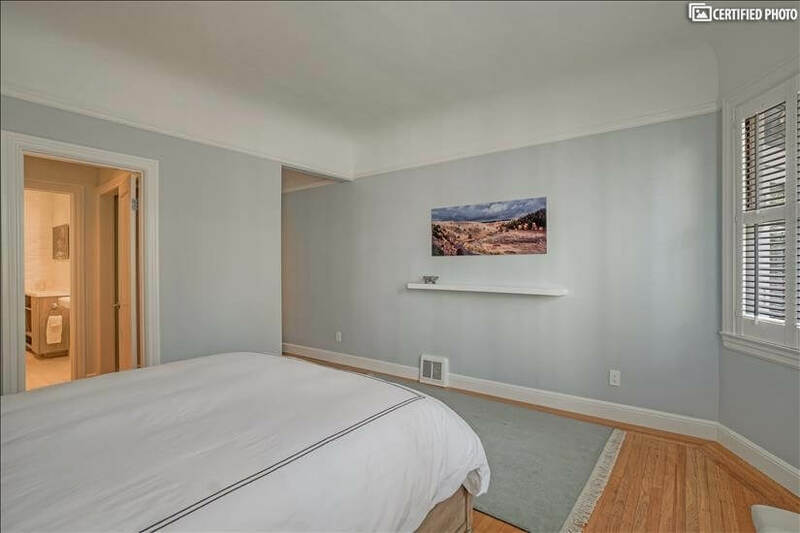 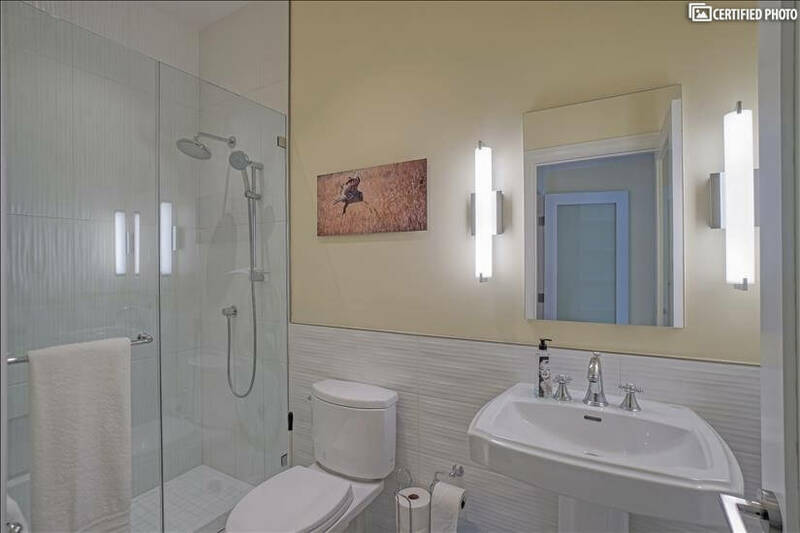 Two spacious bedrooms include the master suite with walk-in closet and renovated bath en suite that features a separate luxurious shower and soaking tub. 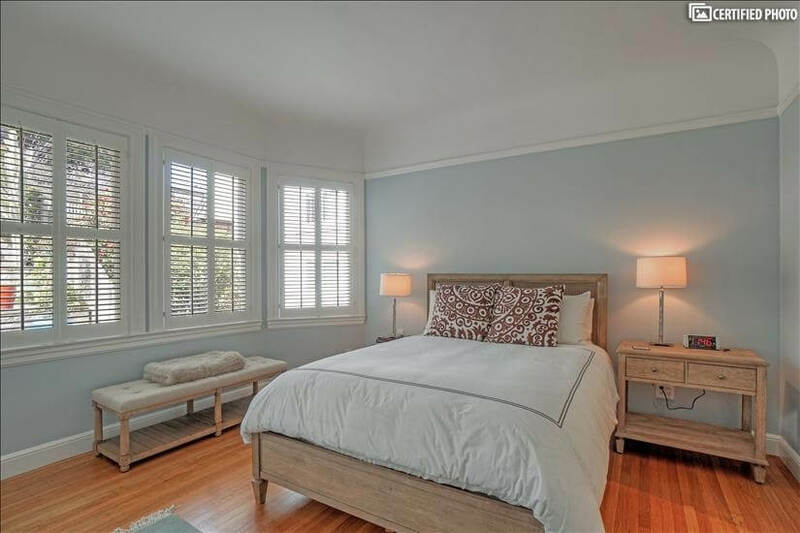 The second bedroom is large and bright and the second bath is renovated with stylish details. 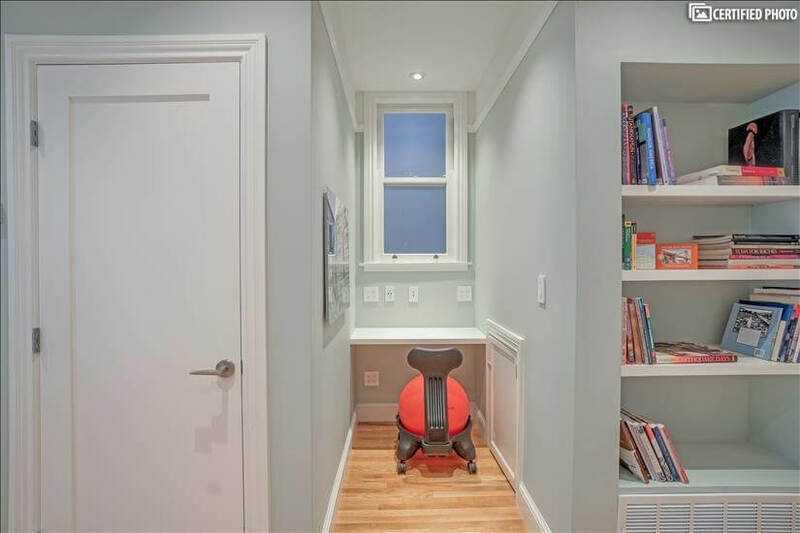 A wired office nook offers privacy and convenience. 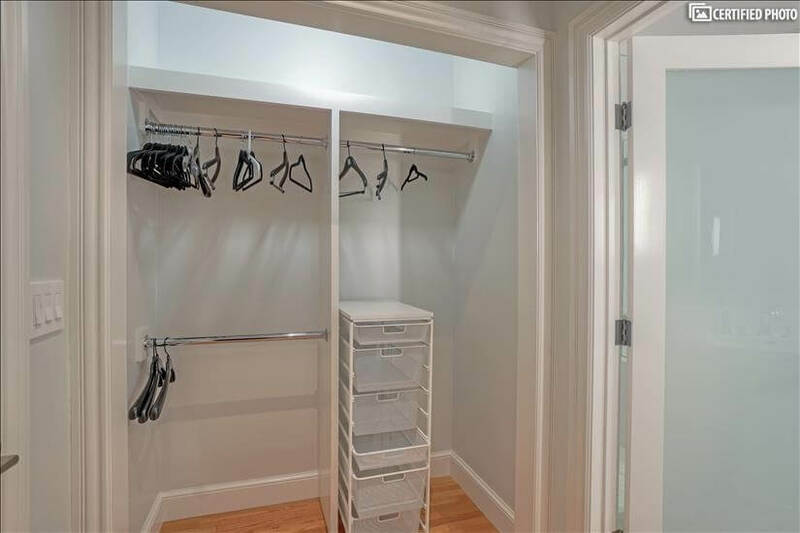 A chic powder room and in-unit laundry complete the home.